In Burning Bright, Pen/Faulkner finalist and New York Times bestselling author of Serena, Ron Rash, captures the eerie beauty and stark violence of Appalachia through the lives of unforgettable characters. With this masterful collection of stories that span the Civil War to the present day, Rash, a supremely talented writer who recalls both John Steinbeck and Cormac McCarthy (The New Yorker), solidifies his reputation as a major contemporary American literary artist. New York Times bestselling and award-winning author Ron Rash is "a storyteller of the highest rank" (Jeffrey Lent) and has won comparisons to John Steinbeck, Cormac McCarthy, and Gabriel García Márquez. It is rare that an author can capture the complexities of a place as though it were a person, and rarer still that one can reveal a land as dichotomous and fractious as Appalachiaa muse; a siren; a rugged, brutal landscape of exceptional beauty, promise, and sufferingwith the honesty and precision of a photograph. "If you haven't heard of the Southern writer Ron Rash, it is time you should" (The Plain Dealer). In Burning Bright, the stories span the years from the Civil War to the present day, and Rash's historical and modern settings are sewn together in a hauntingly beautiful patchwork of suspense and myth, populated by raw and unforgettable characters mined from the landscape of Appalachia. In "Back of Beyond," a pawnshop owner who profits from the stolen goods of local meth addictsincluding his own nephewcomes to the aid of his brother and sister-in-law when they are threatened by their son. The pregnant wife of a Lincoln sympathizer alone in Confederate territory takes revenge to protect her family in "Lincolnites." And in the title story, a woman from a small town marries an outsider; when an unknown arsonist starts fires in the Smoky Mountains, her husband becomes the key suspect. In these stories, Rash brings to light a previously unexplored territory, hidden in plain sightfirst a landscape, and then the dark yet lyrical heart and the alluringly melancholy soul of his characters and their home. In this beautifully written collection of short stories, Ron Rash digs deep into the lives of people in the North Carolina Appalachian region to create a gritty and at times chilling portrait of those on the down and out. Together the stories create an image of place so vivid that it makes me forget I have spent almost every summer of my life there and makes me believe that Rash's portrait of the region is the one and only... I recommend this collection to any connoisseur of short stories or regional writing, to anyone who likes the eerie or macabre. 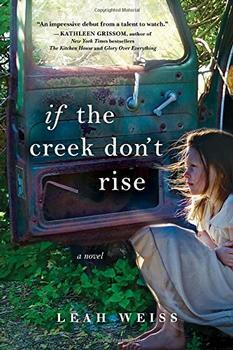 It's a good book; just keep in mind that Rash's isn't the only Appalachia. (Reviewed by Pam Watts). If they sometimes seem too atmospheric to have real weight, [these stories] nonetheless evoke a subculture and history that stretch from the present day back to the end of the Civil War... Rash gets deep inside the peculiar psychology and emotional idiosyncrasies of the denizens of the mountain South in all their pride, superstition and propensity for sudden violence. Come to think of it, these days those qualities hardly seem exclusive to Appalachia. But then, that is a story in its own right. The ferally beautiful stories in Ron Rash’s Burning Bright evoke Appalachians of a Civil War past-- and a meth-blighted present-- with the haunting clarity of Walker Evans photographs. [A] memorable, if often brutal, elegy for a vanishing way of life. Rash, who has authored not only fiction but also three volumes of poetry, is a master craftsman who pares down language to its essential elements in these starkly beautiful stories. Starred Review. A nicely varied feast from a master of the form. Display[s] a universality that goes beyond time or place...There is a purity and precision in Rash’s prose...that makes these stories as deceptively easy to read as they are hard to forget. This is memorable, unflinching short fiction by a master of the form. With a mastery of dialogue, Rash has written a tribute and a pre-emptive eulogy for the hardworking, straight-talking farmers of the Appalachian Mountains. According to the Appalachian Regional Commission, the Appalachian Region stretches along the Appalachian Mountain range from Georgia, Alabama, and Mississippi up through parts of Pennsylvania and New York (see map below left). When most people refer to Appalachia, however, they are referring to the central (Virginia, West Virginia, and Kentucky) and southern regions (North Carolina, Tennessee, South Carolina, and south). Most of Rash's stories are populated with "Mountain Townies" - locals of the Boone and Asheville areas of North Carolina in the Central Appalachian region.